Standards: Depending on the content area and concepts, RL2, RL4, RIT2, RIT4, W2, SL1, L3, L4, L5, and L6. 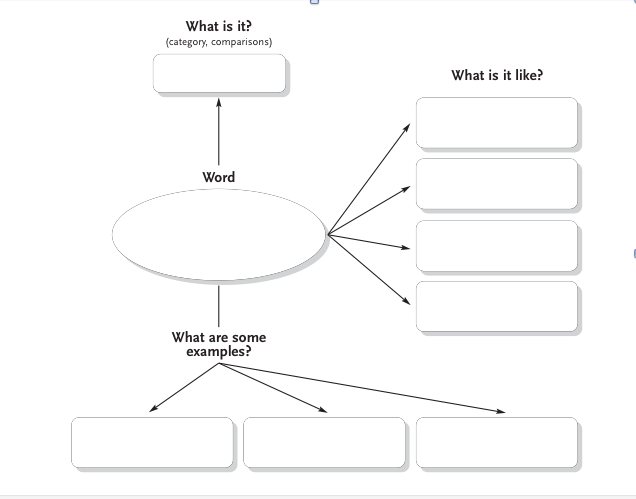 From Inside Words: Tools for Teaching Academic Vocabulary Grades 4-12 by Janet Allen. What are the most essential concepts in each of our content areas, and what words are essential for students’ understanding of these concepts? From this question, Allen designed a strategy for teaching students to think conceptually about content vocabulary known as Concept Circles. Concept Circles help focus student thinking, discussions, or writing on important concepts of content study and the goals and objectives aligned to content standards (13-19). How it works: A Concept Circle provides an opportunity to categorize words and explain connections between and among words. The circle is divided into four equal sections. Each section of the circle contains a word that is important to content concept understanding. Students are instructed to describe the meaning and relationships between and among the words in the sections of the concept circles. Click here for Concept Circles templates. Concept words to be taught in depth are perfect candidates for word walls. Visit http://www.learningunlimitedllc.com/2012/12/twelve-tools-tool-2/ for helpful guidelines. Whether the objective is to teach a concept /target word in depth or to compare and contrast a list of related vocabulary words (tone words, character traits, words that name positions of power, etc. 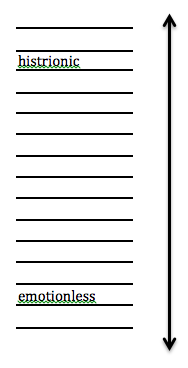 ), students arrange the assigned word or words on a continuum, generating many of their own words to include along the scale. If they are working with a single concept word, students brainstorm for synonyms and antonyms that can be placed somewhere on the scale in relation to the concept word. Throughout, students explore the denotations and connotations of words and the relationships between words.